Sunny Patch is an imaginative world filled with whimsical,adorable characters boys and girls will love. With their Sunny Patch friends to help guide them, children are inspired to learn about and appreciate all living things. 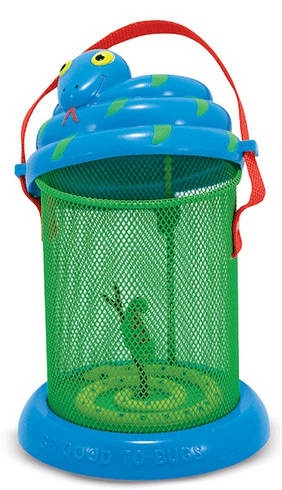 Get up and personal with critters that hop, fly and crawl with this adorable Mombo Snake Bug House. The bright design of this bug house will delight any young explorer! Features an easy open top for easy access to your captive critters! Ages 3+ 5.75" x 11" x 5.25"